Living Sq. Ft. : 2263 s.f. Total Sq. Ft. : 3295 s.f. 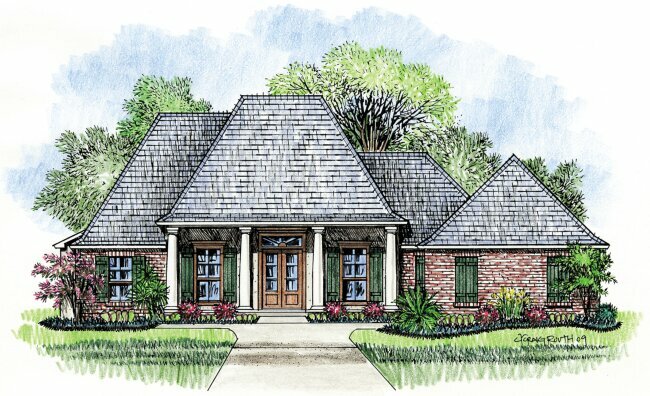 A great Louisiana home plan with Acadiana Designs throughout. 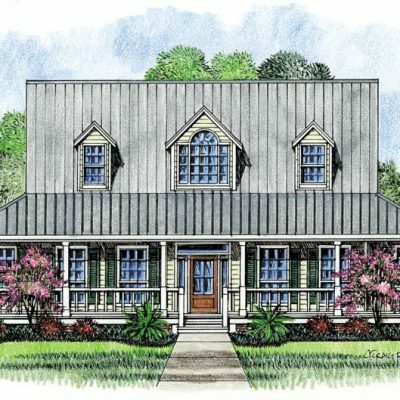 This home has a two column front porch with a dormer over the garage that makes for a good looking house. Walking through the home plan, you will find that it has the privacy layout of a split floor plan. 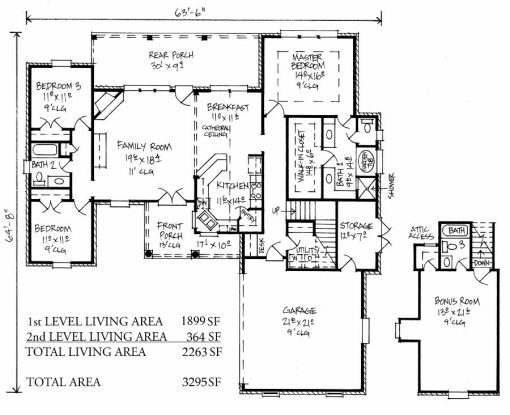 Two of the bedrooms are on the left side of the house that share a bath, and on the other side of the house, passed the family room and kitchen, you will find the master suite. 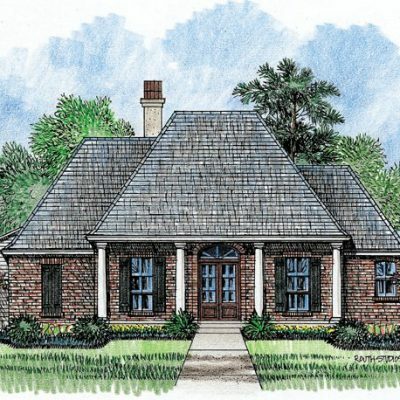 In the master, there is a recessed ceiling, huge walk in closet, and a great master bath with a garden tub. The family room features a corner fireplace and large windows that look out to the back of the property. 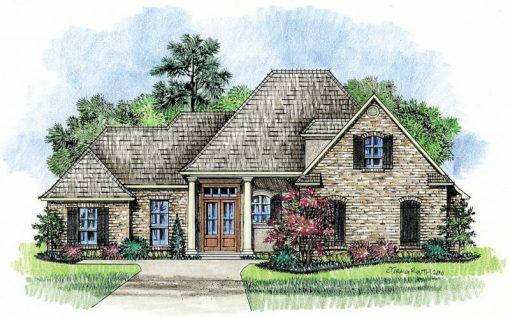 The kitchen has an angled bar with a corner sink that over looks to the front of the home, a big pantry, and it overlooks the family room and breakfast area. 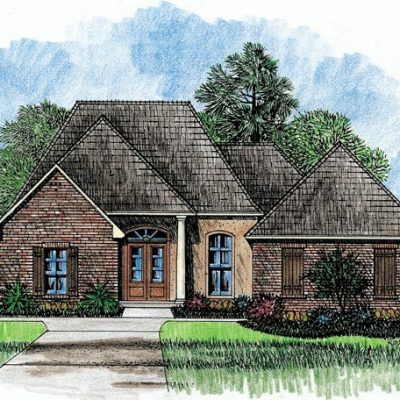 Upstairs you will find a bonus room that could be the 4th bedroom with its own full bath and closet. Below the bonus room is your two car garage with a nice sized storage room attached along with doors to get lawn care equipment in and out. A great plan, especially if you like to have some privacy, because none of the bedrooms share a common wall. 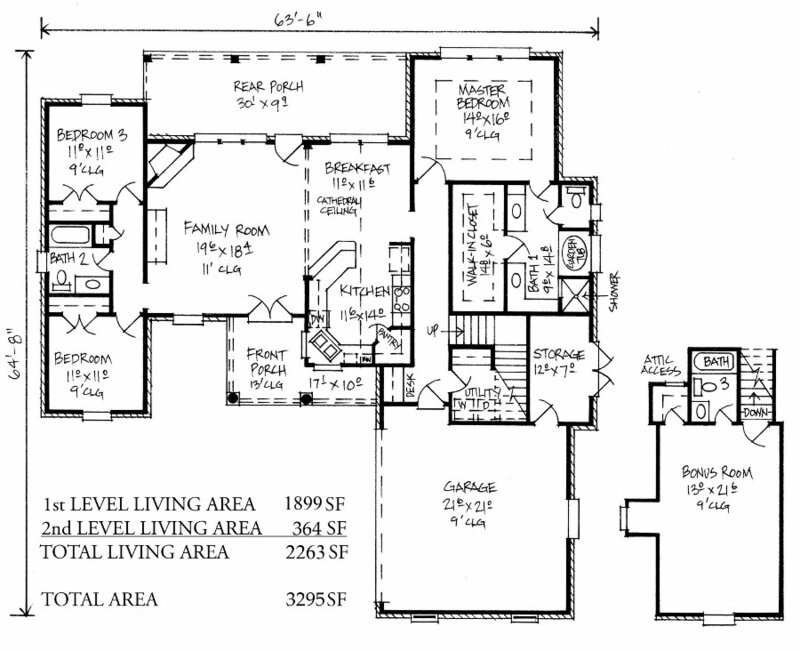 The living space of the first floor is 1899 sq ft.